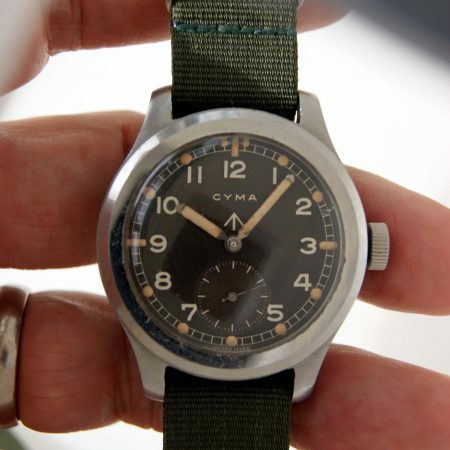 One of the so-called 12 “Dirty Dozen” watches issued to the British Army during WW2. 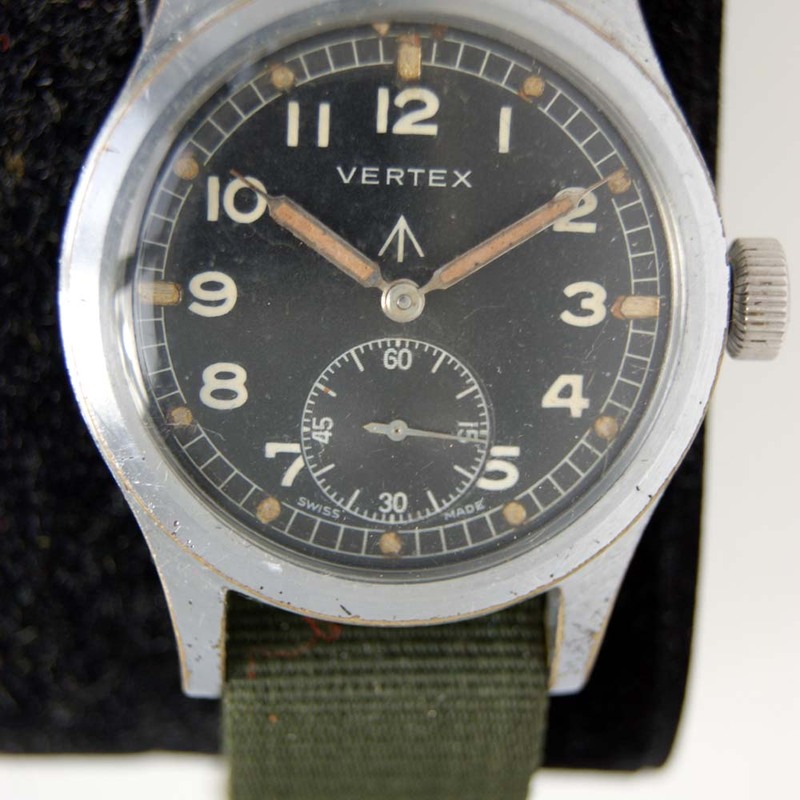 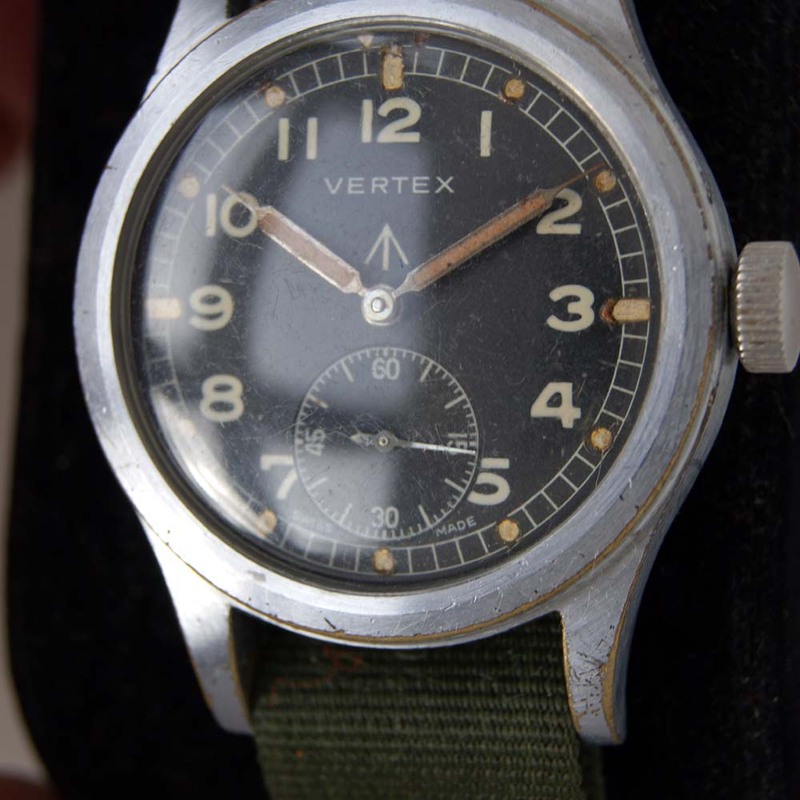 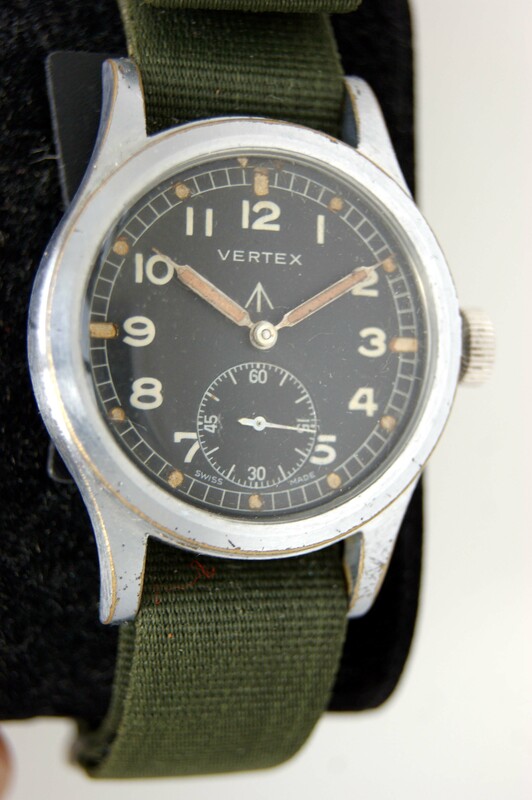 This Vertex WWW (standing for “Watches Wristlet Waterproof”) is one of only 15,000 made, making it quite rare. 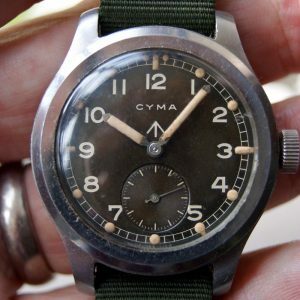 This is a superb, all original radium dial example and very hard to find with the matching three digits on the lug. 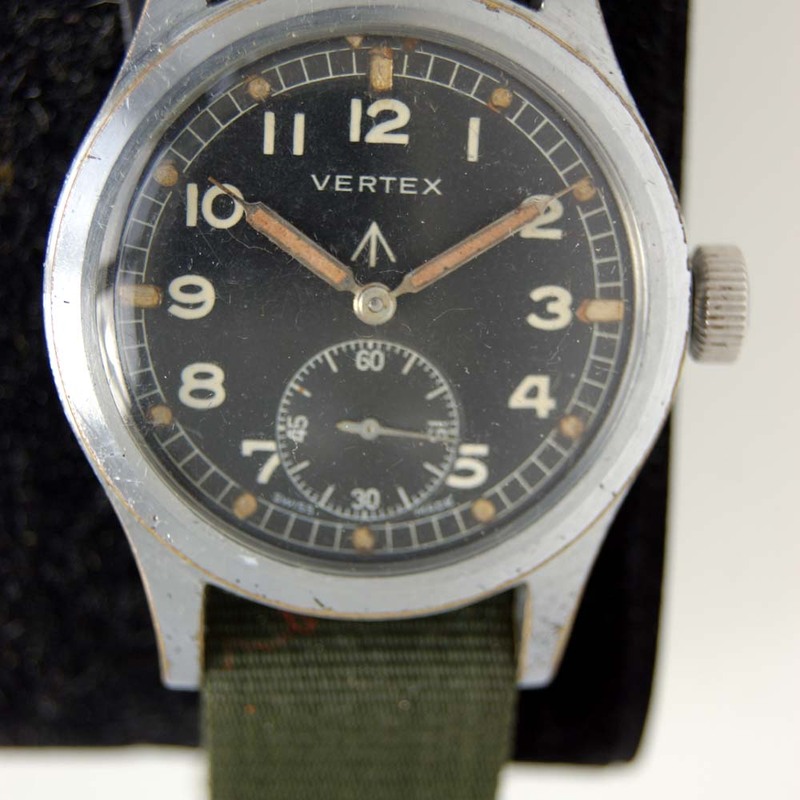 Manual winding Swiss Made Vertex signed Thommen movement Cal. 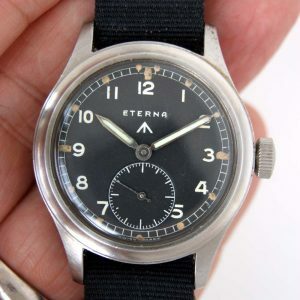 59 with 15 Jewels. 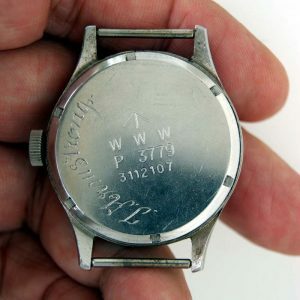 The orignal movement Securing Ring is present. 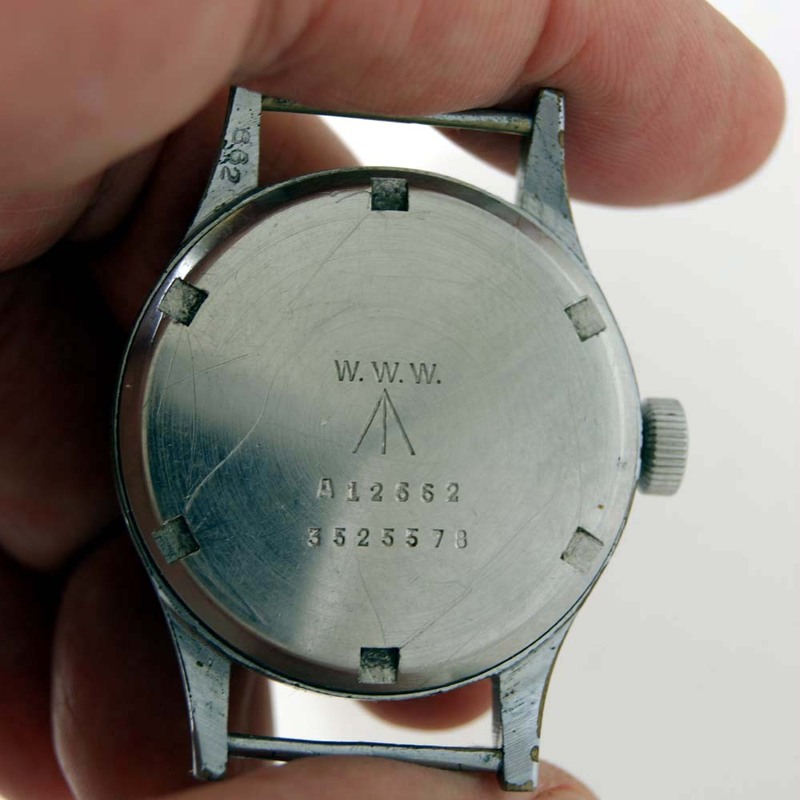 The case is chromium-plateded with a stainless steel case-back measuring 35 mm across (excluding the large military winding crown). 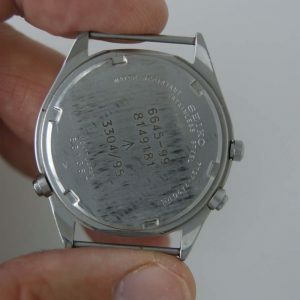 The case has genuine military issue markings on the back, WWW/A 12662/ 3525578 (giving the correct difference between the military and case numbers of 3512916). 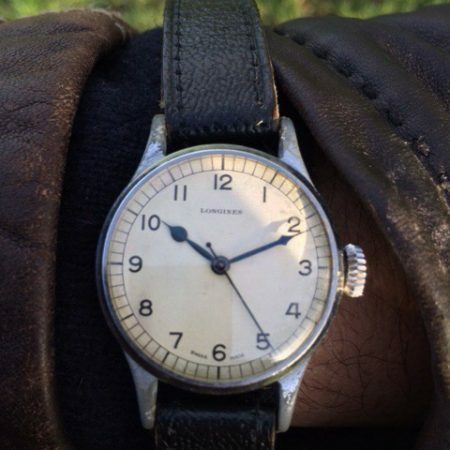 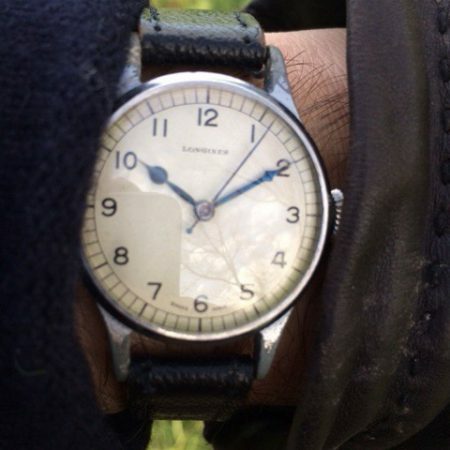 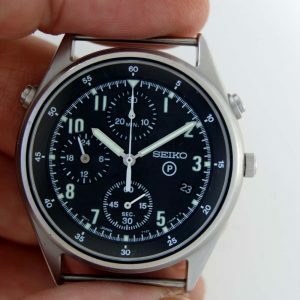 This watch has the very rare to find last three digits on the lugs matching the last three digits of the military issue number on the case-back, showing that the case-back is orignal to the watch (most were lost of changed during services of watches by the the miltary).